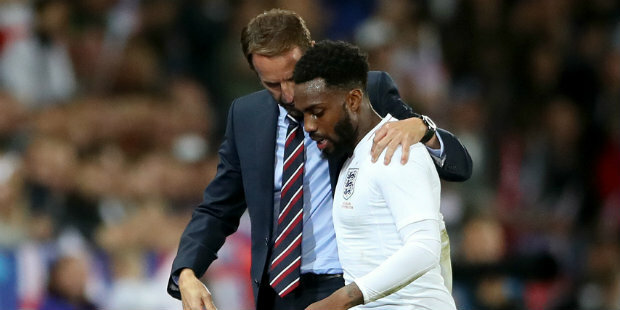 Danny Rose and Danny Welbeck sat out England training on Tuesday morning as a precaution. They did not take part in the session at St George’s Park, with Gareth Southgate preparing his squad for the forthcoming Nations League double-header against Croatia and Spain. Tottenham defender Rose and Arsenal forward Welbeck have both been nursing minor injuries. Newcomer Mason Mount was involved with Chelsea midfielder Ross Barkley back in the ranks for the first time since March 2017. Southgate’s side face Croatia in Rijeka on Friday as they look to exact some revenge for their World Cup semi-final defeat during the summer, with the Nations League clash at Stadion HNK to be played behind closed doors before a trip to face Spain in Seville on Monday evening. Defenders Luke Shaw and James Tarkowski have already withdrawn from the squad through injury and have been replaced by Lewis Dunk of Brighton and Leicester full-back Ben Chilwell. Be the first to comment on "Rose and Welbeck miss England training"